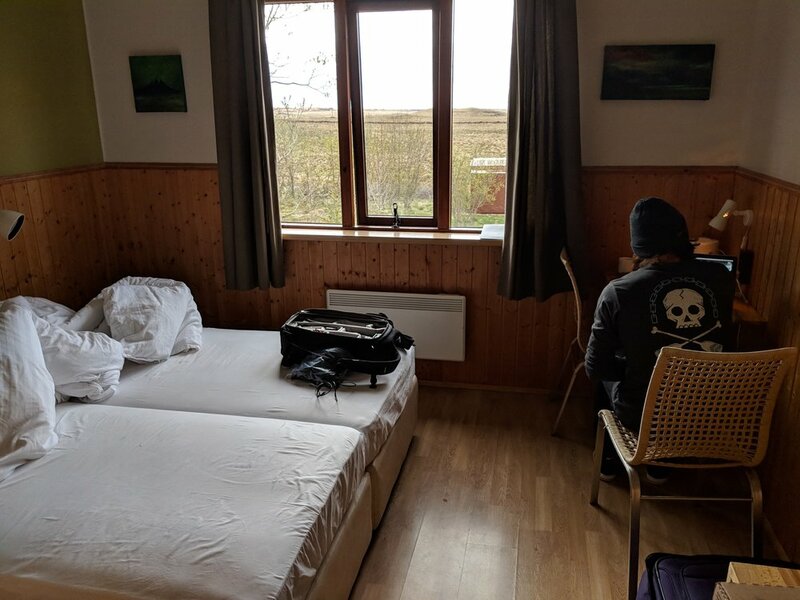 Review: Árnanes Country Hotel in Höfn, Iceland — Where in the World is My Drink? Over the last couple of years, Iceland has become the European destination. 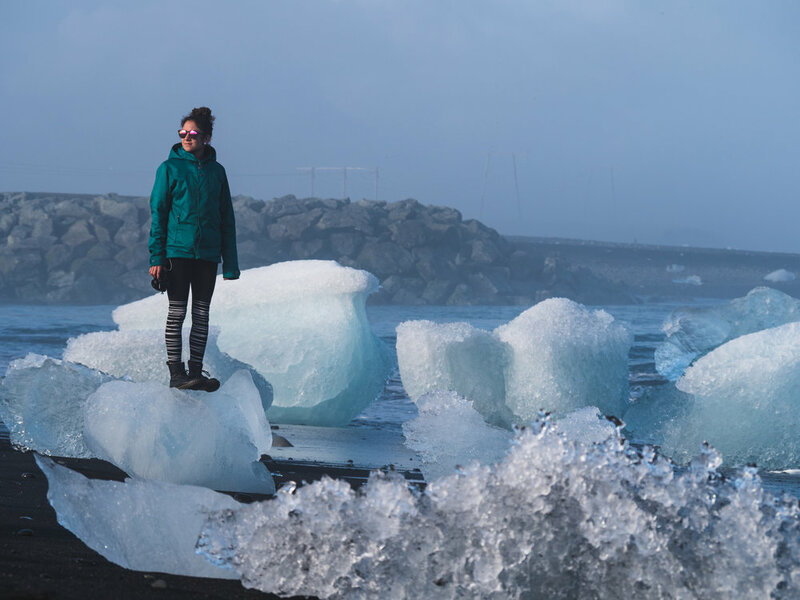 Thanks to cheap flights (thanks WOW Air) and the endless barrage of Icelandic scenery flooding Instagram, Iceland is at the top of everyone’s bucket lists. While there are only just about 340,000 Icelandic citizens, the numbers of tourists are well into the millions. According to Financial Times, there are more visitors from the U.S. alone than citizens, including — *raises hand* — me! My boyfriend JP surprised me with a 10-day trip to Iceland in May 2018. After spending the first few days in a Reykjavik Airbnb, we made our way East to continue our trip around the ring road, landing just outside Höfn at Arnanes Country Hotel for two nights. Technically in Hornafjördur, Árnanes Country Hotel is a 10-minute drive from the cute waterside town of Höfn. It’s a family-run hotel with a homey atmosphere — you feel comfortable the second you turn down the driveway. The hotel sits on a large farm (they also offer Iceland horse riding tours) and offers gorgeous views of the mountains around Vatnajökull National Park. When JP booked the trip, he didn’t tell me where we were going. He held on to that info until my birthday, which was only a little over a week before we were scheduled to fly out — which didn’t leave us much time to plan together. In order to make sure we at least had a place to stay for the first couple of nights, JP booked an Airbnb in Reykjavik. Once I knew where we were headed, we sat down and figured out the locations we definitely wanted to visit (shout out to photographer Chris Burkard for sharing his map of must-sees!). We figured we could spend a couple of days around Höfn after Reykjavik, so I hopped on Kayak to see what I could find. We didn’t have many qualifications for choosing a place outside of affordability. The one thing I cared about most was finding a hotel that offered free breakfast in order to avoid having to buy another meal (which in hindsight was very smart because Iceland is super expensive). There were quite a few options to choose from, but Árnanes Country Hotel fit our budget while offering the free breakfast along with free wifi and also had very promising reviews. After leaving Reykjavik, we set off in Höfn's direction with a couple of pit stops in mind (along with a few extra for photo opportunities). Our first planned stop was Fjadrárgljúfur Canyon, which unfortunately ended up being closed due to thawing conditions. We continued traveling East until we hit Jökulsárlon glacier lagoon, which ended up being about an hour outside of the hotel. We arrived at Árnanes Country Hotel in the late evening. It was more of what Americans would consider a motel, as you can pull up directly to your unit as opposed to all rooms being tucked in one building. The rooms lined the long driveway leading up to the main building, the wooden exterior giving a fun glamping feeling to the place. As we got out of our car to check in, a staff member was milling about outside and brought us into their reception area (which was also the hotel’s restaurant) to check in. Checking in was quick and easy — we got our key and an overview of the hotel from the friendly staff member and made our way to our room. While the room was a bit small, it offered plenty of storage space for our two suitcases and extra baggage. We had a view of the farm out of the window, a small desk with two chairs and a kettle, and blackout curtains that kept the room comfortably dark during the few night hours. The room included a small but comfortable bathroom and two small beds pushed together to make one big very cozy one. The free wifi certainly wasn’t the fastest, but it worked. The surrounding area was quiet throughout the night. Breakfast began at 8 AM. After forcing ourselves out of the snug, warm bed (which proved difficult almost the entire trip), we made our way into the same place we checked in. The hotel provided the typical Iceland breakfast: coffee and tea, juice, yogurt, bread and jam, meats and cheeses, and fruit. The breakfast setup lacked flow — I found myself moving back and forth from one table to the other to put food on my plate and get coffee, using a lot of “excuse me’s” and “pardon me’s” in the process. However, we were fed at no extra cost, so no complaints here! The checkout process after our second night was literally as simple as handing a staff member our key as we crossed paths with her while packing up the car. No one changed our bedding or cleaned the trash cans after our first night, but we were only there for two nights so it’s not like the room needed it anyway. I’m sure if you had a longer stay you could arrange upkeep — the staff seemed very accommodating. I would’ve loved to stay longer given the chance and will absolutely stay again if I find myself around Hofn at some point in the future. Árnanes Country Hotel was by far the most authentic accommodation we had in Iceland, and definitely my favorite.